Edward studied business management and marketing for 3 years at Cirencester Royal Agricultural College in Gloucestershire receiving his degree with honours. Edward has worked for Advanced Ergonomic technologies (AET) for 2 years working in Hong Kong, Shanghai and the UK. Edward brings his marketing and sales skills to the team and his attention to detail is of the highest degree. 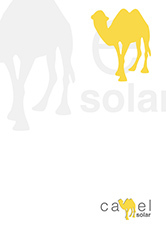 Using his marketing and sales Edward is now able to take hold of this new Camel Solar brand and help move it in the right direction from new ideas to the finished products. Edward is a key member of the team and very dedicated to make sure that Camel Solar products will help combat climate change by the reduction in co2 emission and also allow developers and architects to ability to design the products into their sustainable buildings, creating beautiful and aesthetically pleasing finishes.